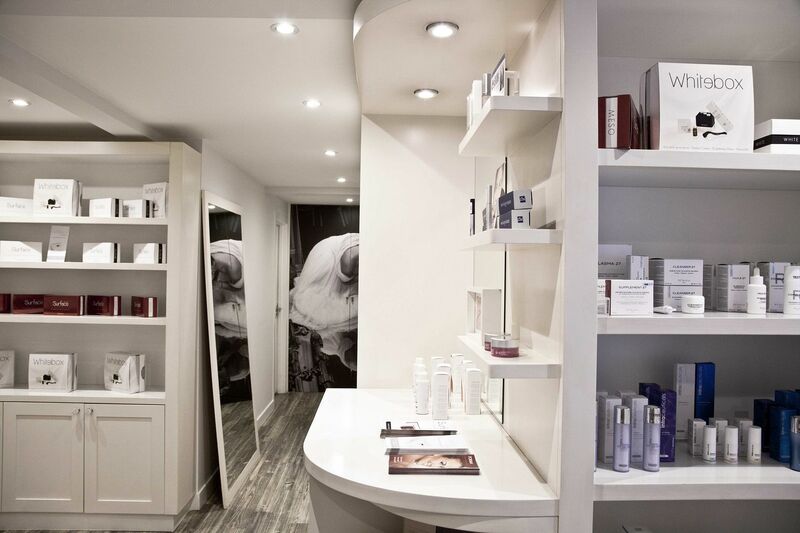 When you hear the word clinic for a facial, it can be quite scary to people, but after one of my most recent facial treatments at a clinic in South London which I loved, I was all set to try another. I really like these types of facials as they are much more treatment based than just a nice afternoon out with a few massage techniques. These are results driven facials and so my next stop was Lazeo Clinic to try the Intraceuticals Rejuvenation Infusion facial. The clinic is tucked away in Notting Hill down a cobbled lane and on entrance felt bright and airy as I was warmly greeted by the staff. It wasn’t long before I was whisked off into the treatment room. The room was much different to that of the last clinic I visited which was much more like a doctor’s office, this not quite a spa, but definitely more spa like, with the relaxing music and did I mention the heated bed, oh the heated bed, exactly what I needed on a cold day. My facialist explained a little about Intraceuticals and the treatments they offer. Intraceuticals is an Australian skincare brand who specialise in oxygen skin care and treatments and with the facial I was going to have, it was going to use pressurised oxygen as a way to quickly infuse the serum into the skin. There are three types of facial available with this method; the Atoxelene Infusion which helps to hydrate the skin, make it firmer and reduce wrinkles as well as smooth out facial contours, the Clarity Infusion which uses Phytosphingosine and anti-bacterial assets to calm skin, a good one for acne prone skin and then the Rejuvenation Infusion, which I was having. The Rejuvenation Infusion is good for dehydrated skin like mine and uses Atoxelene, which contains a light hyaluronic acid and a powerful cocktail of vitamins and antioxidants in addition to Argireline, which is an anti-wrinkle ingredient and a substrate of botox. The facial aims to hydrate and reduce the appearance of fine lines and wrinkles as well as plumping the face. I was told this is a great facial for pre-flight to help keep skin hydrated whilst flying and I can definitely see why. The oxygen therapy and serums were applied onto my face after a cleanse and light exfoliation using what can only be described as an airbrusher, it constantly felt like it was blowing air on my skin, which it was and felt very cooling too. It was a strange sensation at first but one that became quite therapeutic. Each area of my face was covered over numerous times, with particular attention to the undereye area and upper lip. My facial was finished off with a protective moisture barrier. There was no massage techniques involved in this type of facial, it was purely a treatment of oxygen and the serums. The oxygen is used to help the serum penetrate deep into the epidermal layers. Afterwards my face felt super plump and soft, I just kept touching it. It felt so hydrated and what I wish my skin felt like every day. No wonder celebrities get these before they walk the red carpet. I think this type of treatment is quite a quick fix, but I was told a course of treatments really helps to get the skin back into repair mode and on top form. 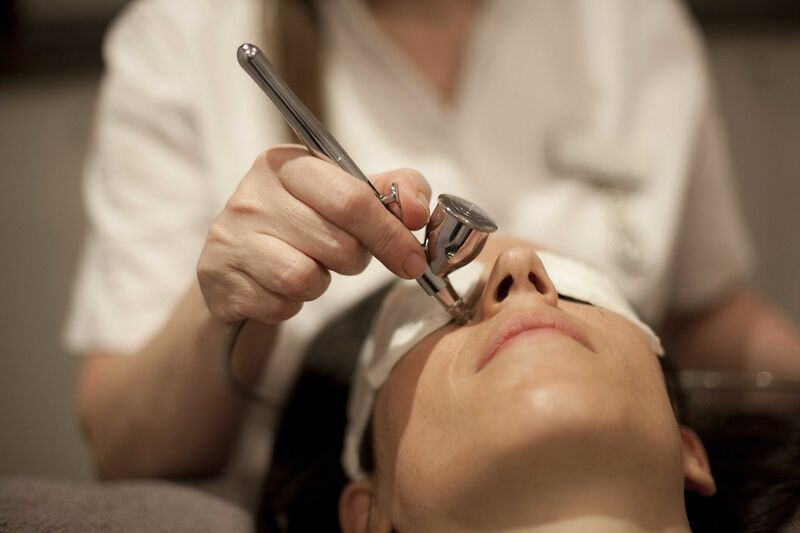 The Intraceuticals Infusion Rejuvenation facial is priced at £135 and available at Lazeo Clinic.